Jubail City is an industrial town in Saudi Arabia’s Eastern Province. It has grown to become one of the most important industrial centers in the Middle East, housing worldscale facilities such as petrochemicals plants and some of the country’s biggest industrial companies. The world’s largest independent water and power project is located there, to meet the needs of the industrial sites as well as its more than 200,000 residents. As the city expands, its wastewater facilities have struggled to keep up with the rapid population growth. 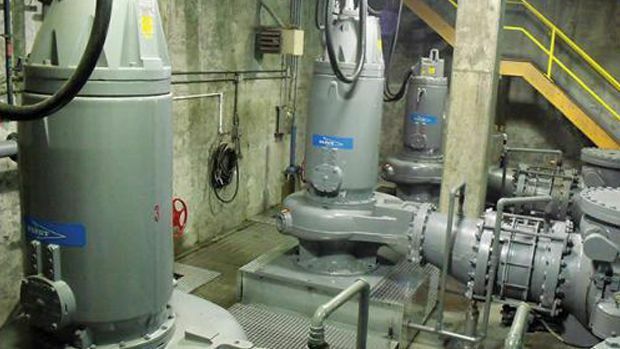 The main pump lift station, designed with a capacity of 50,000 cubic meters a day, was increasingly unable to discharge the incoming flow of wastewater. This resulted in streets becoming flooded, accompanied by unpleasant odours. Abunayyan Trading’s Water and Wastewater division was commissioned to increase the capacity of the lifting station to 67,200 cubic meters a day, without changing the pipelines. We were also required to study the existing sewer pipeline and calculate the new pressure head, and select and install new pumps. Abunayyan Trading was selected due to our proficiency in conducting the hydraulic study on the existing pump station. We were also able to propose a complete solution and met the required delivery time for the promised flow to be achieved. The project’s transformational impact on the city attracted national media coverage.